Illustration showing the components of a first flush diversion system. First flush diverters will help ensure wash water adheres to water authority standards – so you avoid costly fines and shutdowns. Durable, compact and easily maintained, first flush diverters will help keep your operation water authority-compliant for 20+ years. 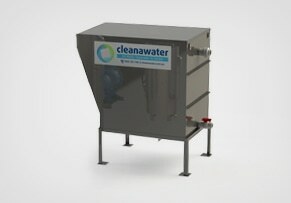 Cleanawater's first flush diversion systems are 100% automated. With minimal footprint, they're programmed in-house for wash pads of all sizes. 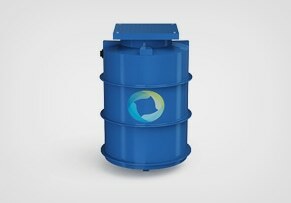 Ideal for heavy machinery wash pads that can't be roofed, our systems are coupled with oil water separators for complete hydrocarbon management. And we can supply them with optional hydrocarbon spillage alarms to ensure zero stormwater contamination. Our first flush diversion systems require no consumables. And we can schedule maintenance programs to suit your calendar. It means hassle-free after-sales support. We will also ensure your first flush diverter has a product life expectancy of 20+ years. 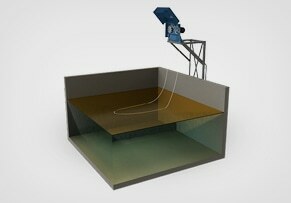 First flush system and oil water separator for a refuelling area. 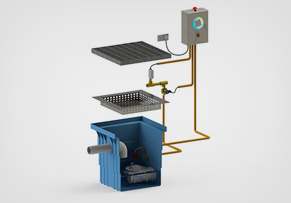 First flush diverter and oil water separator system for a wash pad. 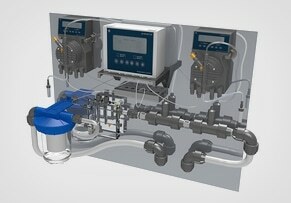 Illustration of a first flush diversion system. As your one-stop water treatment provider, we're committed to supplying the right solution for your business. Our award-winning products are engineered for performance, economy and ease of use. 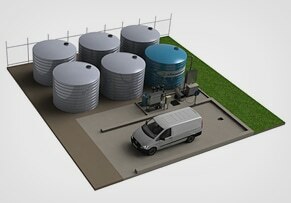 That includes both custom-built and off-the-shelf units approved by all major water authorities. Our comprehensive after-sales service includes support from experts in your area. So you can always speak to somebody who understands your local market. We distribute across Australia with fast, efficient delivery for off-the-shelf systems. And we'll install, service and maintain your equipment on a schedule that suits you – ensuring minimal downtime. What is a first flush system? A first flush system – also called a diversion system or diversion valve – diverts water from a contaminated surface like an unroofed wash-down bay to another source of discharge. Typically, after 10mm of rain falls on a contaminated surface, this surface is deemed 'flushed'. When do I need a first flush system? 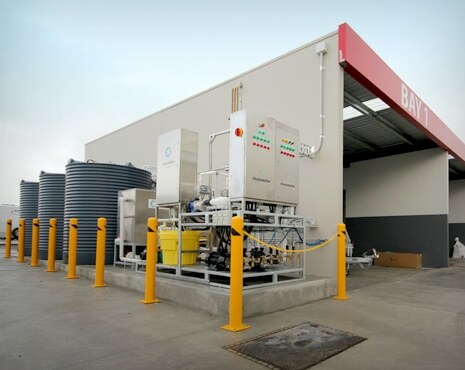 When rainfall or stormwater is able to fall on a contaminated surface (eg wash bay or refuelling area) which typically contains oils, grease and/or other contaminants. Why don’t Cleanawater first flush systems have separate silt pits and valve pits? 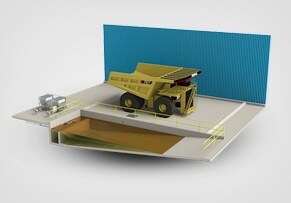 Cleanawater diversion systems are single pit systems. Single pit systems include components other manufacturers often have in a dual pit setup: pit enclosure, diversion valve, storm water outlet, silt trap and access grate and frame. My wash-down area is located on a mining site – do I need a first flush system? Each mining site has different environmental rules and considerations. Generally, typical rain events falling on contaminated surfaces are built into untreated water storage sumps for treatment. Are first flush systems allowed to be installed in all states? No. Particular states and regions have other regulations to manage rainwater falling on a contaminated pad. Call Cleanawater on 1800 353 788 to see if you require a first flush system. My local authority requires me to have additional alarms and shut-off systems – do you have options available for this? Yes. Cleanawater first flush diversion systems are flexible and can include alarms, remote notifications, shut-off valves, sensors and manual and automatic modes. Call Cleanawater on 1800 353 788.